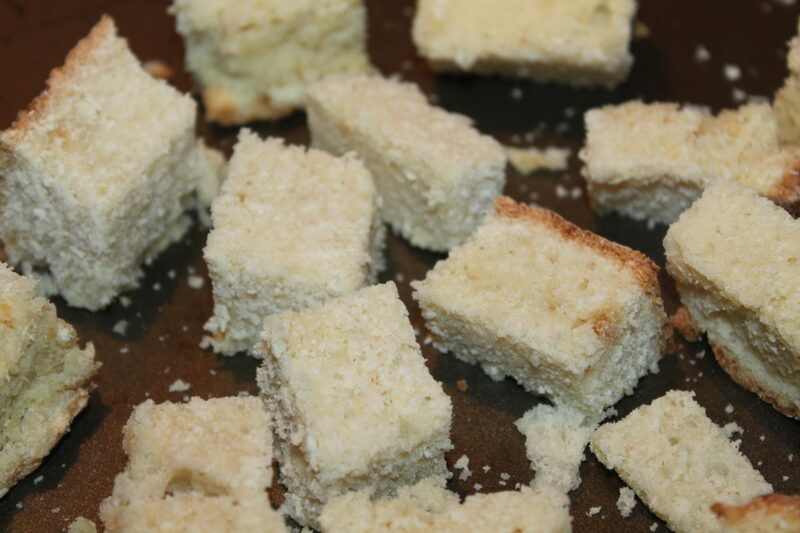 Homemade Flavored Bread Crumb Recipe - Don't Let Bread Go To Waste! Homemade bread crumbs taste so much better than the store-bought versions, not to mention it is a lot cheaper and healthier! And shouldn’t bread crumbs be just bread crumbs – if you buy them in your general grocery store, they aren’t. There are preservatives and even sugar products in them! Tear or cut bread into evenly sized cubes for even baking time. Most of us have a few pieces of bread that we know will go uneaten – for us, it’s the end of the loaves. Of course, our dog Jazzy volunteers every time to eat them. However, when our bread crumb supply becomes low, we begin to save a few pieces of bread from various loaves until it is time to make them. It really doesn’t matter what type of bread you use – white, wheat, rye, sour dough – they are all work great. Feel free to try all sorts of varieties – and you may find a combination that works best for you. And remember, you don’t have to just use the ends…any piece will work. We store them in an air tight container in the freezer until we are ready. Home-made bread crumbs can make those home made meat balls, meat-loaf and stuffing come to life! 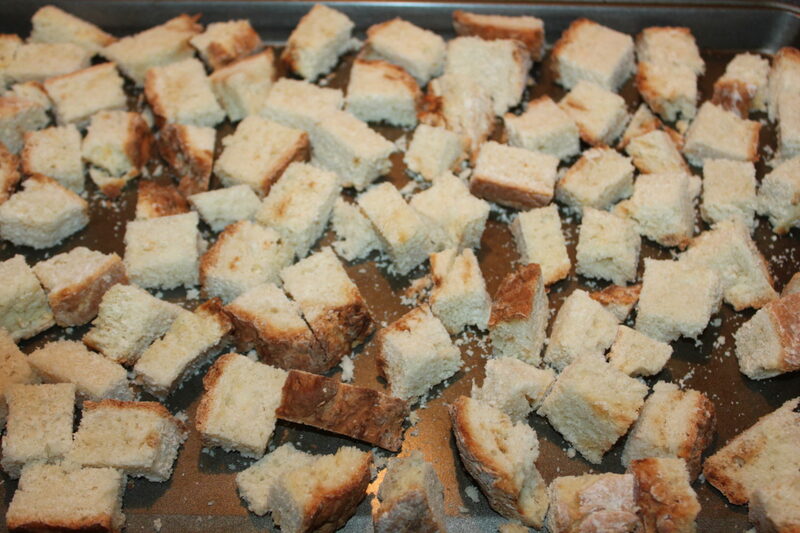 Some people will say to use stale bread – I don’t. 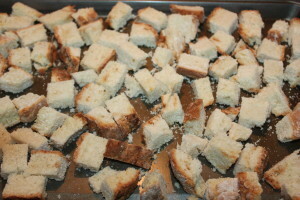 I believe stale bread makes for dull bread crumbs. I would rather use bread that I wouldn’t mind eating. I enjoy the fresh flavor that home-made bread crumbs provide. Speaking of flavor, experiment with different seasonings, depending on how you are using your crumbs. 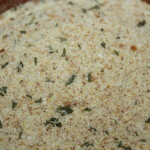 For instance, you can add in garlic powder, parsley flakes, and even some hot pepper powder. The possibilities are endless! 1. Tear bread into evenly cut pieces (or close to it) and place in a single layer on an ungreased baking sheet. After you are almost done grinding, add seasonings if desired. 2. Bake for 10-15 minutes, turning pieces over half way through the baking time until completely dried out. 3. Place pieces into a food processor and grind to the desired consistency. 4. Add additional seasoning if desired. Use black and red pepper for a spicy mix – parsley and garlic powder for an Italian mix – or create your own combo. Add spices to taste. 5. Store at room temperature in an air tight container for 2 weeks, or freeze for several months and use as needed. Tear bread into evenly cut pieces (or close to it) and place in a single layer on an ungreased baking sheet. Bake for 10-15 minutes, turning pieces over half way through the baking time until completely dried out. 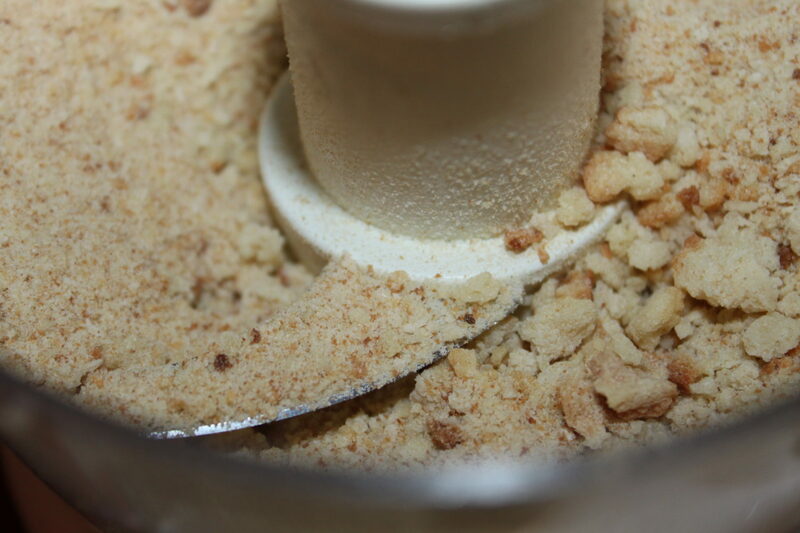 Place pieces into a food processor and grind to the desired consistency. Add additional seasoning if desired. Use black and red pepper for a spicy mix - parsley and garlic powder for an Italian mix - or create your own combo. Add spices to taste. Store at room temperature in an air tight container for 2 weeks, or freeze for several months and use as needed. ← How To Make Great Compost – Fast!